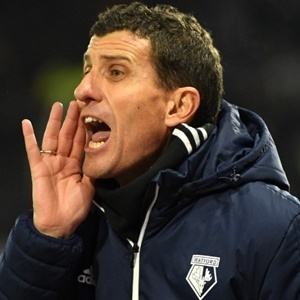 Cape Town - Javi Gracia believes his Watford side can spoil Ole Gunnar Solskjaer’s debut as permanent Manchester United boss. Solskjaer’s successful spell as interim manager has earned him a three-year contract and Saturday’s Old Trafford appointment with the Hornets will be his first outing since the news was announced. Watford have lost their last eight games against the ‘big six’ but Gracia insists recent results proves his players should not be overawed. "I’m sure that to play against Manchester is always very difficult and very demanding," he told reporters. "They have a very good squad and can achieve whatever they want. "They are continuing in the Champions League and are playing in the Premier League. "But we’ve also always competed really well against them. "Losing the games, but they’ve always been very close games – 1-0, 2-1. "I’m sure we’ll have our opportunities if we play as I know we can."